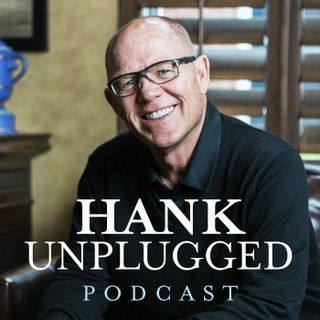 This week, Hank is joined on Hank Unplugged by Paul Nelson, a PHD in philosophy and a leader in the Intelligent Design movement. At one point in history, it would have been difficult to believe that the mighty Soviet Union would fall, but it did, and Dr. Paul Nelson believes that there are major cracks in the edifice of evolution and that Darwinism is ready for a fall of its own. Topics discussed include: whether or not Darwin would have been able to propose his theory as it were today ... See More (5:00); the persuasive effect of presenting arguments with a spirit of love and respect (12:00); the unscientific baggage that advocates of evolution bring to the table as a “theory about us” (17:00); the unhappy consequence of celebrity culture seeping into the sciences with “celebrity scientists” like Bill Nye and Neil Degrasse Tyson creating cultural consensus (26:00); the expectation of radical shifts on critical Darwinian concepts such as common descent in the next decade (31:00); the courage of Michael Behe and others who challenge the scientific status quo (39:00); comparing the collapse of the Soviet Union with the eventual collapse of the evolutionary edifice (47:00); the key to earning the right to dissent is becoming the best student of the prevailing view (57:00).